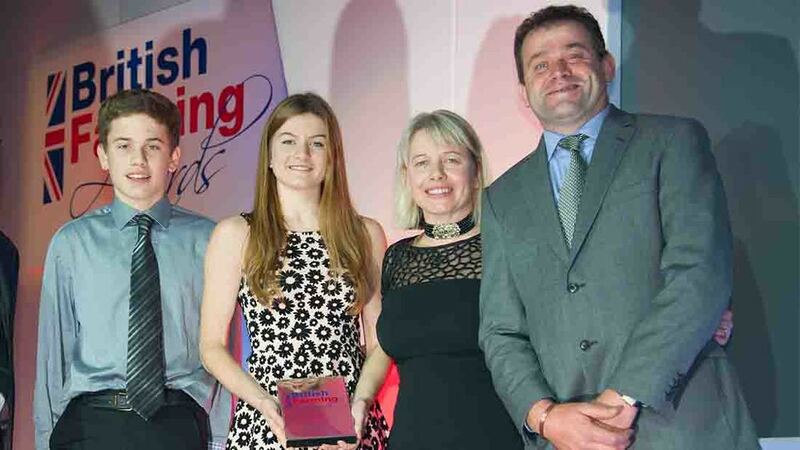 The Chesters family won the Family Farm of the Year at last year’s British Farming Awards, which was co-organised by Farmers Guardian. Danusia Osiowy visits Cheshire to catch up with them. It is not often you manage to get the whole family sitting around the kitchen table when you arrange a farm visit, but when it happens, it reinforces how such units are the backbone of the farming industry. David and his wife Sally Ann took over what was at the time a struggling 85-hectare (210-acre) dairy farm in Malpas, Cheshire, and turned it into a diverse business which is pulling forward thanks to the hard work of the whole family, including their children, Laura, 17, Lloyd, 16 and Lucy, eight. David came into the business at 19 after completing an NCA in agriculture, joining his older brother and father who bought the farm in 1971. By 1976, they also purchased the farm next door and set up a second dairy unit. It was during David’s first year home, his father suffered a mild stroke. The family continued to milk, David’s father recovered and David married Sally Ann 20 years ago when the milk price was good and the mood positive. To utilise the considerable size of their farmhouse and add value to the business, the couple decided to start up a bed-and-breakfast, taking four rooms in the house as the basis. To advertise, David put a sign at the end of the road, which at that time was just by the side of a busy A41 and attracted a lot of passing trade. “That really was the size of our advertising, as we did not even have a computer back then. We were absolutely astounded at how fast it took off. Some of the beef calves which are taken up to seven months old before being sold on to be finished. Shortly after Lloyd was born, the family ventured on a self-catering holiday to Gwynfryn Farm Holidays, near Pwllheli, which inspired the idea they could replicate a similar business model on-farm to accommodate their growing market. 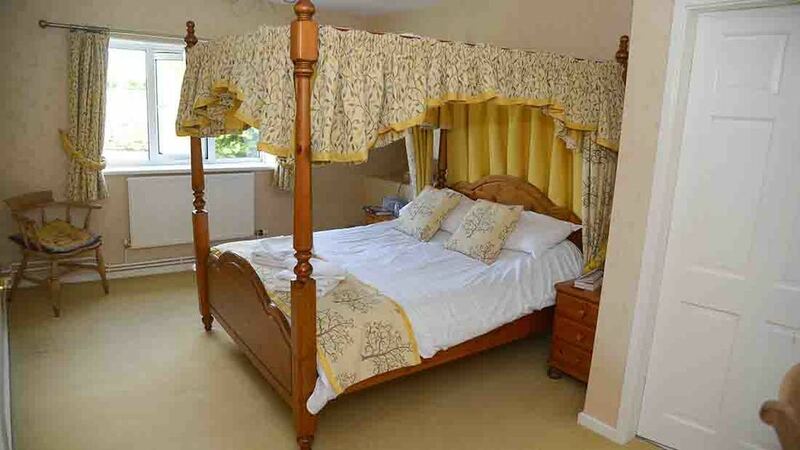 Over the course of seven years, they built up a business of five self-catering, new-build cottages and bungalows offering a range of bedrooms, disabled access and facilities. After 15 years, the B&B was closed in 2009 and transformed into a two-bedroom cottage. In total, the properties can now accommodate 24 people at any one time. A combination of being a Farm Stay member for 11 years and increased advertising and listings on more tourism websites have contributed to a successful steady and consistent growth. Sally Ann, who is now chairman of Farm Stay Cheshire, says: “We have been very lucky with grants and received funding from Marketing Cheshire and the Rural Development Programme for England. One of their biggest realisations throughout the process was how much their working farm status appealed to the public. 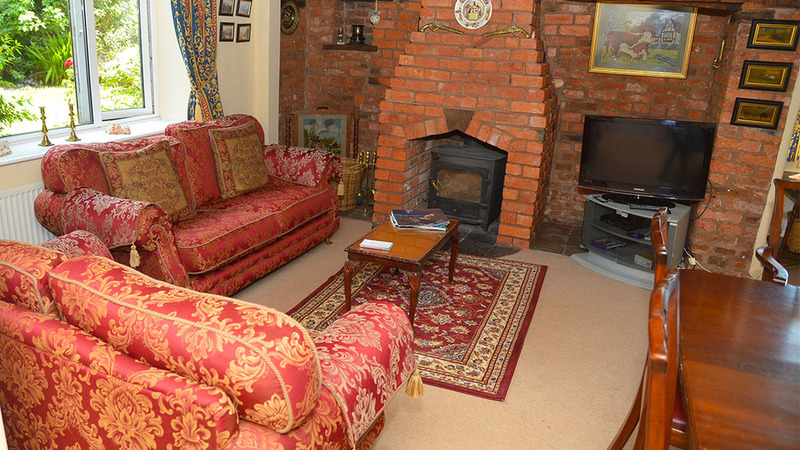 Sally Ann says: “We realised people really wanted to stay on a working farm and help out with daily tasks, so we began utilising this within our marketing, which was something we didn’t do with the B&B. In total, the properties can accomodate 24 people at any one time. The family have introduced more and more accommodation. After David’s father passed in 2007, David decided to cease milking in March 2010, selling all the dairy cows through the market. He says: “It was the end of an era, but we were okay about it, as the price was so bad. Capital from the dairy sale was reinvested into a new 400-head calf rearing business, increasing sheep numbers and farm efficiency. David says: “We are aware calf rearing is risky. You are dealing with baby animals and a typical group comes in as 60 calves from 50 different farms. 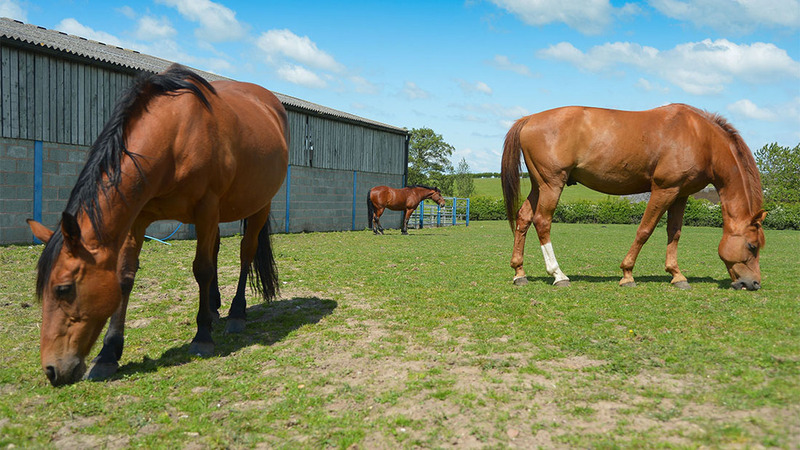 In order to avoid such mistakes, they worked with local vets who advised what was needed to improve, introduce and change to maximise rearing efficiency. 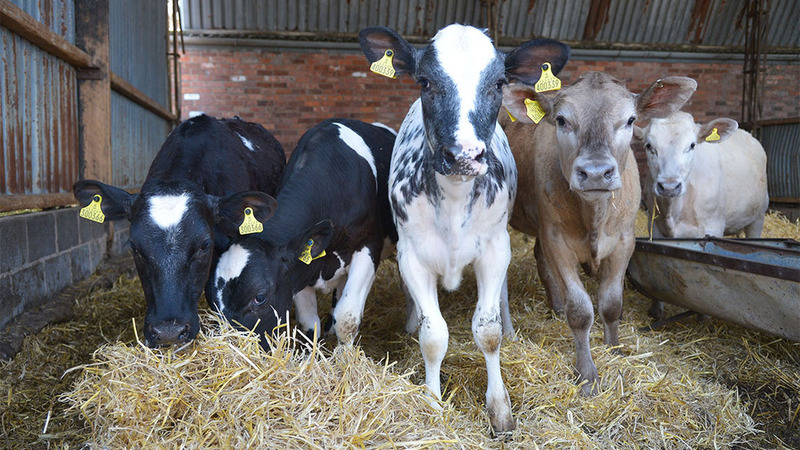 Calves are bought-in at three to four weeks old and sourced from Meadow Quality. They are immediately put through a strict three-step system on arrival, which incorporates feeding, medication and vaccination. Routine vaccinations are carried out against BVD, leptospirosis and pneumonia. 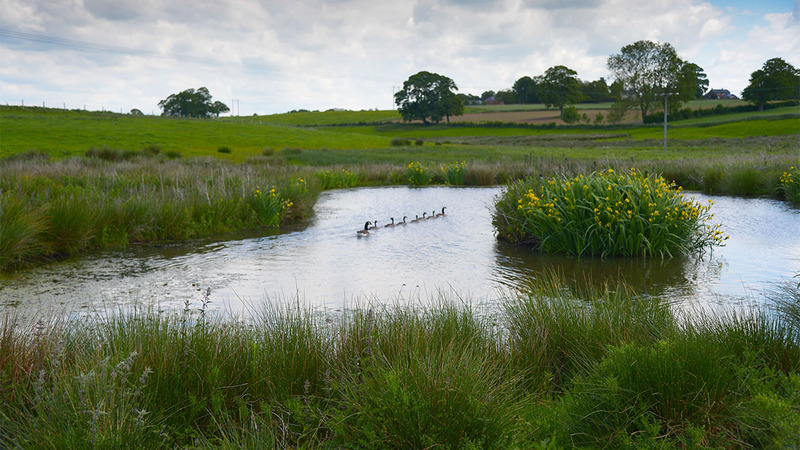 This pond is part of Millmoor Farm's stewardship scheme. Guests are given home produced pork products to take home with them. Predominant breeds are Hereford and Aberdeen-Angus, although there are some continental breeds in the mix. They are taken up to seven months before being sold on to be finished. David says: “The breeds we are dealing with appeal to commercial beef farmers, so we have to be consistent. “Somewhere down the line, they are involved in a scheme. Our Herefords can be for the Waitrose scheme, Aberdeen-Angus for Marks & Spencer and the Holstein finished bulls, which is more of a side line, are for McDonald’s and Morrisons. “We find it really satisfying we get calves in at three weeks old and manage them through a simple, low input system. They are fed milk when they arrive and then ad-lib nuts with some home-produced forage. It is amazing how fast they grow. The calf rearing business provides a fast turnaround, which David says impacts positively on cashflow. The online marketing development, showcasing calves, has proven effective in securing repeat business. Sheep have always featured at Millmoor Farm and have increased to 400 as a result of renewed investment. Operating an early lambing system for the spring market, David runs Suffolk cross continental breeds, which are put to a Millenium Blue Ram offering the benefit of a Beltex shape grown to the size of a Bleu du Maine. After scanning, singles are fed on some buckets, while twins and triplets are on nuts and home-produced forage. They are all sold liveweight at 36-38kg through marts. 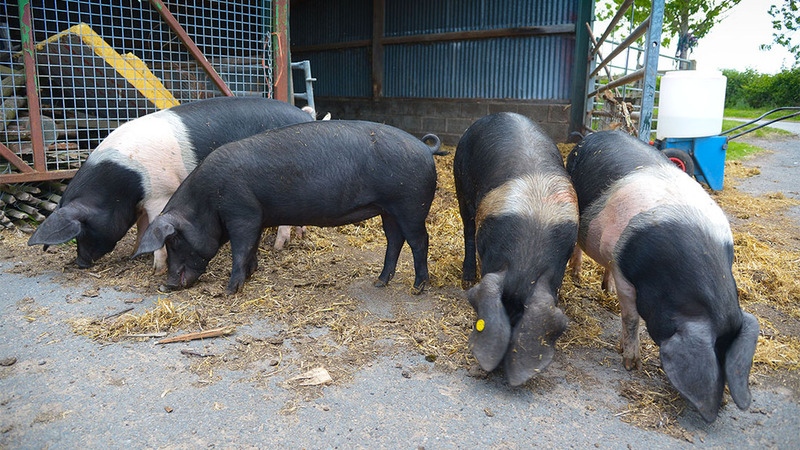 There are even 18 Saddleback pigs in the mix, which allow the family to produce home-made bacon and sausages, so guests are able to take away something produced on-farm. With Lloyd’s involvement, the Chesters family has built up a 14-head suckler herd of Hereford crosses, which he is very keen to expand once he joins the farm after leaving school. Lloyd says: “I have always had an ambition to farm and enjoy all aspects of agriculture, whether it is working with the livestock or tractor work. I hope to expand the suckler herd to 40 cows over the next two years, as they are a great asset to the farm. They help to manage grassland for sheep as well as producing good calves. Looking to the future, it is hoped planning permission will be passed for the sixth new-build, which David says will be the family's last, shortly followed by a reminder from Sally Ann that is what he always says. She says: “When we went out of dairying, people judged us and thought we would be another farming catastrophe, so we had to work very hard at it. Lucy is a big help in showing visiting children and families the animals on-farm to make their stays all the more memorable, while eldest daughter Laura has built up a DIY livery business, taking care of all the day-to-day management of the livery. But with plans to attend the University of Liverpool’s School of Veterinary Science in September, the family is looking at ways to manage the business in her absence. As presidents of Malpas YFC, David and Sally Ann are proud of their involvement with the club. Following in their footsteps are all three children who are also members too. David says: “You get involved in a local fundraiser and sometimes you worry about being away from the farm and having other things to do. Then I look around me and there are all these farmers and vets, or a guy from the air ambulance – all busy people who rally round for their community. Entries are now open for the 2015 Family Farm of the Year. On winning the award last year, the Chesters family remains shocked, but it now features proudly on their website. Sally Ann says: “We actually entered it to help with Laura’s application form to vet school and now we use it on our website and whenever we can really. Previous: Potter's View: "Through this column I have previously issued warnings like this because the situation is simply unsustainable"